These are not the disclaimers you might expect from eBay’s first Chief Diversity Officer, who held roles at Google as its Diversity Strategist and at Uber as its first Global Head of Diversity and Inclusion. But Damien Hooper-Campbell isn’t your traditional leader when it comes to his approach to diversity and inclusion. 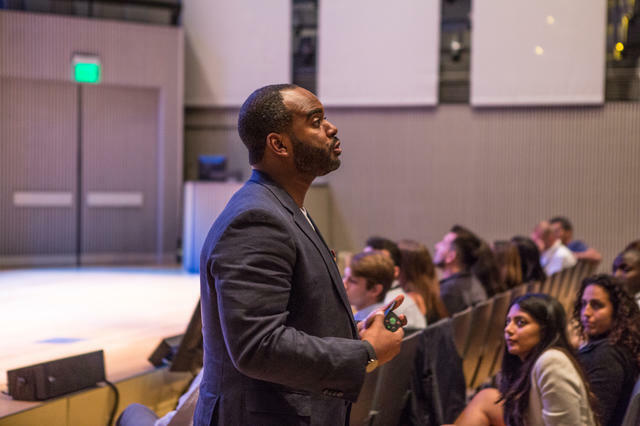 Each step in his life and career — from front-of-the-house manager at an organic Chinese food restaurant in Harlem to Assistant Director of Admissions at Harvard Business School to Vice President at Goldman Sachs — has shaped how he views diversity and inclusion, whether it’s through hospitality, education or its manifestation in some of the most influential industries. 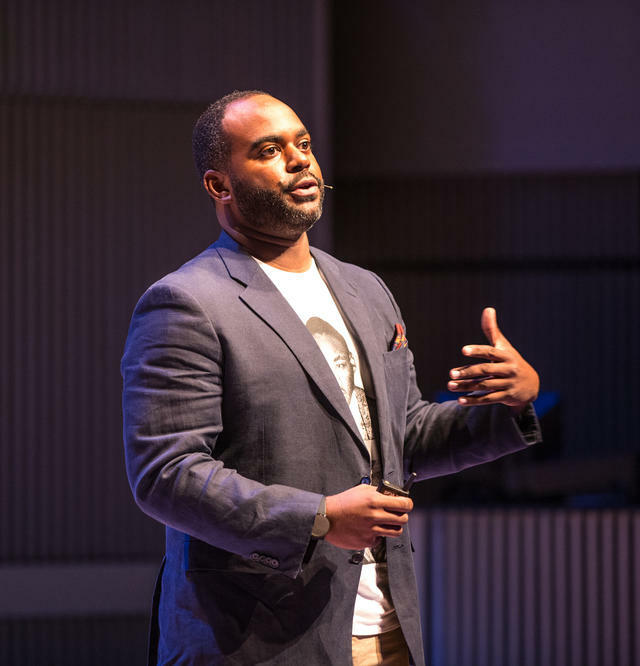 Drawing from his First Round CEO Summit talk (which received a standing ovation) and follow-up conversations, Hooper-Campbell shares how he believes we can humanize an increasingly popular discussion that’s otherwise at risk of becoming a rote phrase in tech: diversity and inclusion (D&I). He shares a snapshot of the state of affairs of D&I in technology and suggests how it can be approached differently to generate more authentic, effective and — wait for it — inclusive conversations. Lastly, he offers a few exercises and tactical takeaways that every leader can try at her organization. What if tech’s biggest diversity problem is Silicon Valley itself? Who’s fixing tech’s diversity problems? Being in the Circle of Trust is like being in the exit row on a plane. You need verbal confirmation before proceeding. The point of the Circle of Trust is to quickly create an environment that is conducive and safe for open conversations about diversity and inclusion. The first thing you want to do is define the topic in your own terms: What does diversity actually mean to you? Come on, folks. Let’s define ‘diversity.’ Remember, we said Circle of Trust. We said no BS. We said no surface level stuff. Folks, diversity alone isn’t enough. If diversity is getting invited to the dance party, inclusion is being asked to dance when you’re at the party. Whatever you do, include. Commit to never ever, doing anything — knowingly — to let the people who are in your sphere of influence feel excluded. The health, happiness and longevity — of your people, business and industry — is in the balance.